Capital flight a concern in turbulent Algeria - The Maghreb Times ! Experts warned of “predation” of Algeria’s finances by people linked to Algerian President Abdelaziz Bouteflika’s regime amid unprecedented protests demanding the overthrow of the political and business establishment. Economists said poor and middle-class Algerians, many of whom joined protests since February 22, are likely to feel the pain of what former Prime Minister Mokdad Sifi called the “economic disaster” to be left behind by Bouteflika. “The threat of rising acts of predation is real, especially in the context of the expected change of political leadership with the privileged ties enjoyed by several private sector businesspeople to the state under the regime of Bouteflika are now called into question,” warned Our Algeria Built on New Ideas (NABNI), a think-tank in Algeria. Algerian newspaper El Khabar reported that business and political leaders in Bouteflika’s entourage were selling their “most liquid assets,” including luxury villas. There is also wariness about the risk of capital flight. 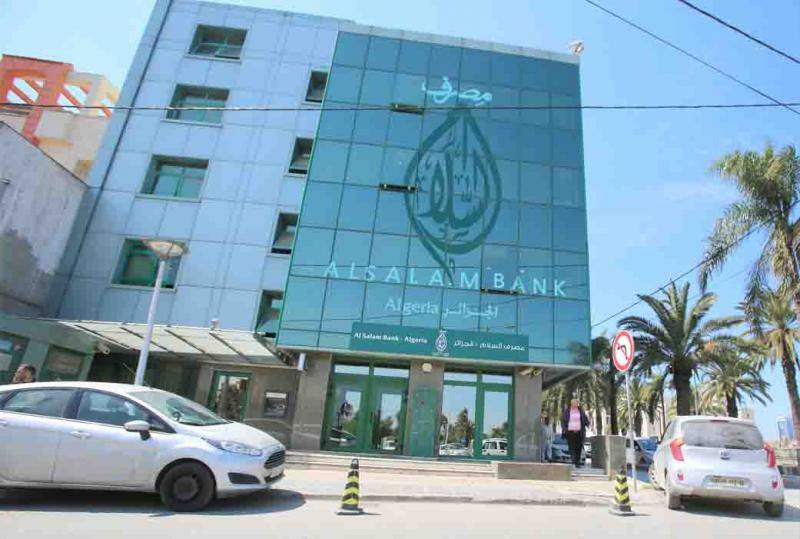 Algeria’s rigid banking system could act as a brake against the massive transfer of funds from Algerian banks to foreign institutions unless economic officials facilitate such operations. “It is urgent to replace top economic and financial managers immediately and without any delay. This will prevent any headlong rush by current leaders and help block capital flight that is typical of revolutionary circumstances like the situation in Algeria now,” said Algerian economist Naceur Bourenane. Experts urged full openness by the usually secretive Central Bank of Algeria, including weekly public statements “about foreign currency reserves, its commitments to finance import operations by specifying types of imports and the funds used to finance these operations,” Bourenane said. “Only a team of economic professionals of real integrity and experience and who are fully independent of those who are or had been at the economy’s helm in recent years can carry out such a mission and manage successfully the economic transition,” said Bourenane. Economists said the inability to end the unrest would make the difficult economic situation worse for most Algerians and complicate any political transition. “The economic record of Bouteflika is a disaster. With him, Algeria has lost 20 years or 35% of its life as an independent nation,” said Sifi. Algeria is feeling the pinch of the economic consequences from the political crisis and lack of reforms during the 20 years of Bouteflika’s rule and failure to diversify the economy despite Algeria’s high mineral and human potential. Moody’s rating agency said Algeria’s political unrest would deepen its underlying economic and fiscal challenges and poses a risk to its credit profile. “We expect a protracted period of uncertainty to weigh on the country’s economic prospects, which have deteriorated significantly since the oil price shock in 2014,” Moody’s said. Algeria’s fiscal deficit widened to more than 15% of GDP after oil prices collapsed in 2014 and the government, wary of social unrest, shied from painful fiscal reforms that would have allowed the country to adjust to lower oil prices. Algeria’s fiscal deficit was an estimated 7% of GDP in 2018 despite recent increases in oil prices. “Declining production related to postponed investment projects is starting to weigh on growth; protracted political tensions are likely to exacerbate this slowdown,” Moody’s said. Algeria’s oil and gas output has been mainly unaffected by the unrest but it is likely workers will back an escalation of the protests if the impasse over protesters’ demands continues. That could include a general strike floated by protest leaders to force concessions. “For the crucial hydrocarbons sector, a stoppage of the pumping, refining and liquefaction facilities because of a strike would have irreversible consequences for oil and gas fields and downstream facilities and for the smooth running of the economy and normal life of the population in the mid and long terms,” said Algerian economist Ferhat Ait Ali. The oil and gas sector, which provides Algeria with 95% of its total exports and 60% of the state budget, showed signs of structural decline because of the country’s “economic nationalism” policy. The value of total oil and gas exports shrank 40% to $2.14 billion in January this year compared to January 2018. Average monthly oil prices declined 13.2% for the Algerian Saharan Blend in January this year versus the same month in 2018. Nour Meddahi, an economics professor, said the decline was because of shrinking production as Algeria becomes part of the “shaky six” OPEC members with falling output because of lack of foreign investment. Since his appointment as CEO of state-owned energy group Sonatrach in March 2017, Abdelmoumen Ould Kaddour has been trying to attract foreign investors, including major US firms. Analysts said Algeria’s leaders bet on Ould Kaddour, who has links to the American energy industry, to bring in US firms. ExxonMobil Corporation suspended the signing of an initial deal with Sonatrach that would have helped Algeria develop its shale gas sector as Mobil and other foreign oil firms wait out the unrest, experts said.